From a candlelit dinner among Moroccan sand dunes and a private island meal in the Maldives to Paris’ favorite date spot and a cozy trattoria in Florence, Indagare picks our favorite restaurants around the globe for a romantic night out. 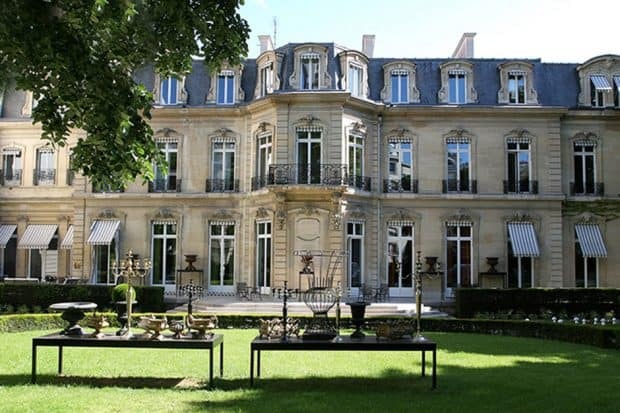 This Michelin-starred restaurant has one of the most romantic settings in Paris, located on the ground floor of a gorgeous 19th-century townhouse on the Right Bank near the Champs Elysées, so it has been a favorite spot for proposals and anniversaries since it opened. The food highlights sophisticated classics, such as fennel langoustines and black truffle pastry with foie gras. In warm weather, tables are set in the beautiful garden. 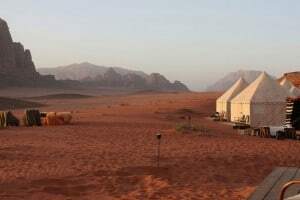 In the remote and mystical desert of Wadi Rum, the luxe tented camp Bespoke Hideaways provides modern amenities and personalized service in the midst of the wilderness. In this otherworldly landscape, the sunset views are particularly mesmerizing over the desert, as a magnificent dinner is prepared. 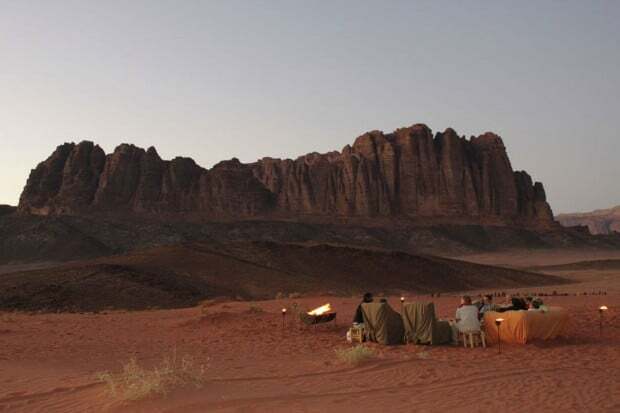 Jordanian specialties like minced chicken or beef with spiced rice, falafel and zarb (slow-cooked lamb mixed with rice, raisins and nuts) are served by candlelight in a Bedouin tent or outside, surrounded by tiki torches. After dinner, retreat to the cozy loungers that encircle the blazing fire pit to stargaze. 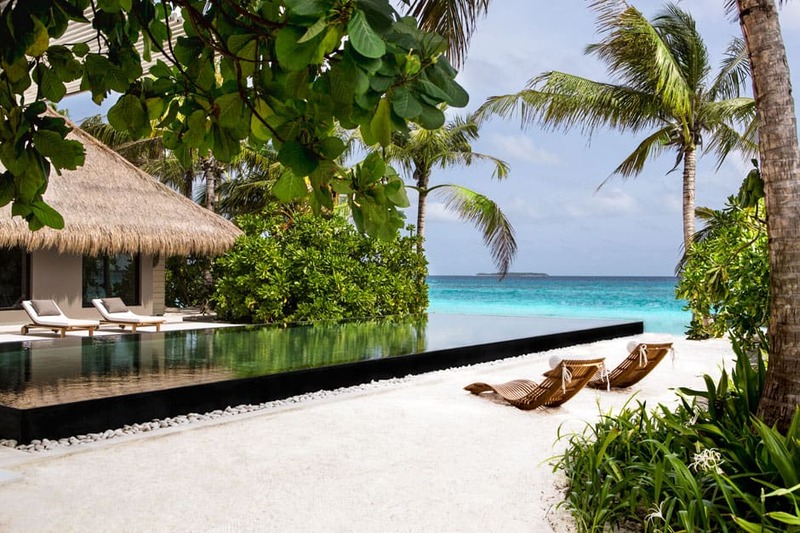 Cheval Blanc Randheli is one of the world’s most cosseting and chic retreats set among the spectacular, cerulean blue shades of the Maldivian atolls. For a romantic evening, the hotel can seamlessly arrange bespoke culinary experiences, such as whisking couples off to a nearby private island for a romantic dinner in the sand. 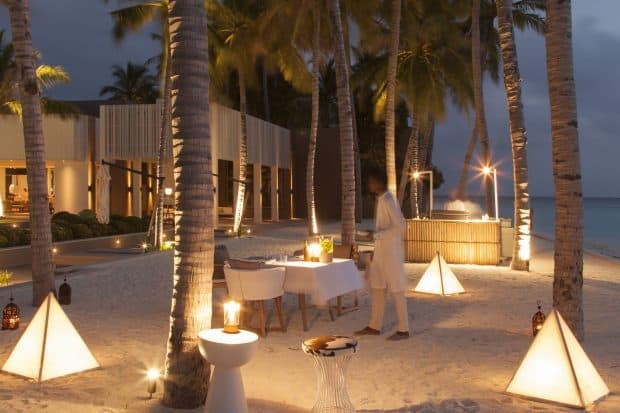 Flickering candles and breezy tents set the stage for a meal sourced from the hotel’s Mediterranean, Maldivian or Michelin-starred French restaurant. As if spun from a romantic vision, Chez Nous is a tiny gem of a French restaurant tucked off one of Charleston’s quiet streets. 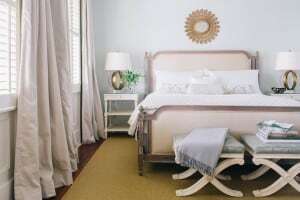 Inside a white-shingled house, exposed beams and mahogany-paneled walls decorate the rustic dining room. The handwritten menu changes daily, offering classic French cuisine such as escargots topped with garlic herb butter, mussels in white wine sauce and filet mignon with mushrooms, all accompanied by a well-rounded wine list. 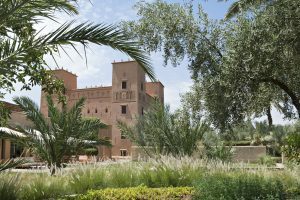 This stylish, 14-room Kasbah in the remote desert oasis of Skoura, a five-hour drive from Marrakech, is an ideal retreat for relaxing in style. 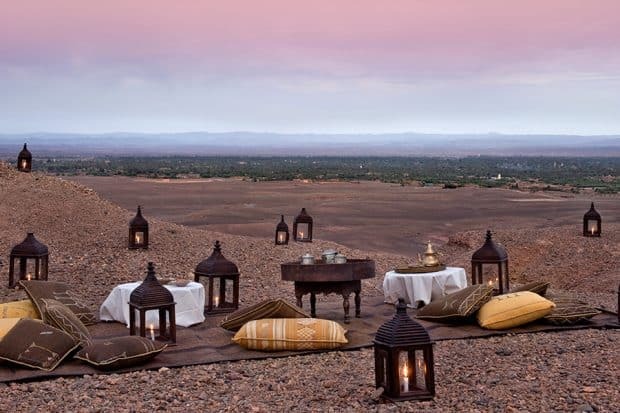 The gracious staff specializes in arranging magical experiences, such as dinner on top of a sand dune in the Sahara Desert. Menus are not offered, so dinner each night is a delightful surprise, based on the chef’s innovative whims. The chef frequently collaborates with visiting French culinary stars, combining local ingredients and traditions with international savoir-faire to create an unforgettable dining experience. 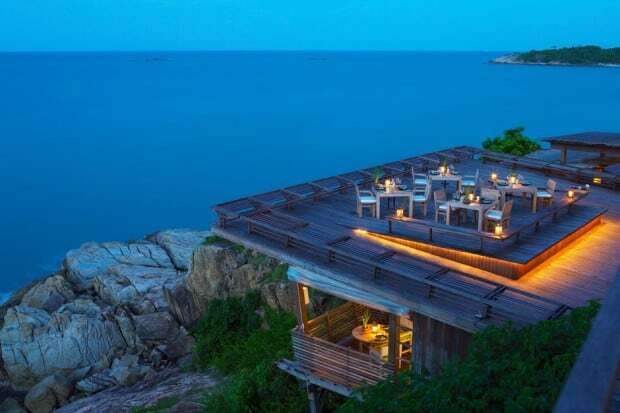 The barefoot-chic aesthetic at this secluded, romantic hideaway extends to its incredible restaurant, Dining on the Rocks. 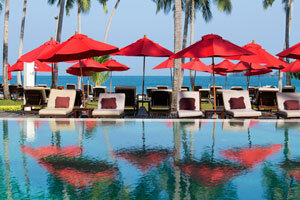 The setting is magnificent, perched above the island, with views of the sea from the teak-and-bamboo decks. Candlelit tables create the ultimate ambience for a date-night dinner, and the menu highlights innovative cuisine such as pork belly with pear-juniper jam, watermelon carpaccio and chicken roulade with quail egg, focusing on produce sourced from the resort’s own garden. The charming and atmospheric Il Buco oozes farmhouse chic, with rustic wooden tables, low-lighting and copper pots dangling from the ceiling. The East Village favorite serves a seasonal menu of exceptional Italian and Mediterranean-inspired small plates, along with an extensive wine list. 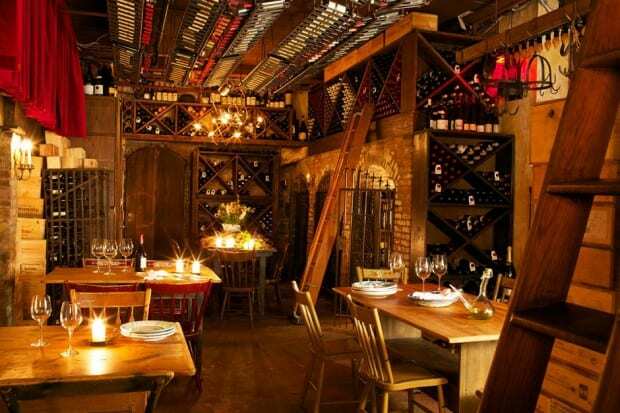 The cozy downstairs wine cellar can even be reserved for an intimate private dinner. 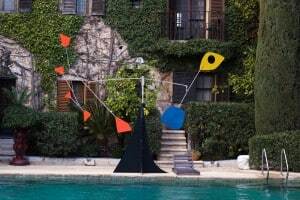 One of the most iconic restaurants in the South of France, La Colombe d’Or is a legendary spot known for its memorable views, art and food. This historic inn and restaurant opened in the 1920s, and its stunning terrace and elevated home-style food have long attracted artists and dignitaries. Art aficionados will be amazed to see works by Picasso, Miró, Cocteau and Bonnard, as well as a Calder mobile by the pool, a ceramic mural by Fernand Léger and a fireplace designed by famed architect Jacques Couelle. 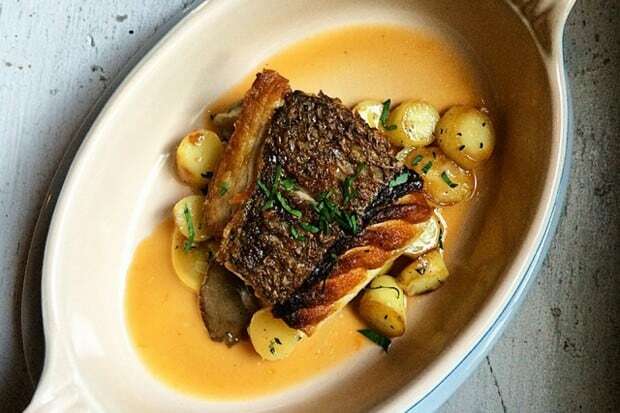 The Provençal cuisine is exquisitely executed, featuring classics like chicken fricassee with mushrooms and Dover sole with potatoes and spinach, as well as the famous Grand Marnier soufflé dessert. The tables inside the art-filled dining room are just as sought after as those on the fig tree-shaded terrace. 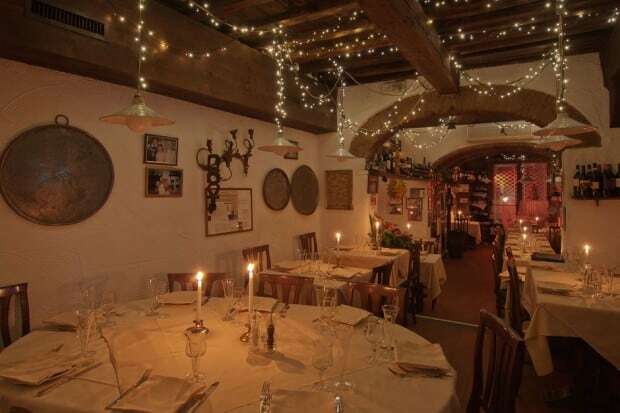 Dine under a ceiling of twinkling lights at this cozy and authentic Tuscan trattoria in Florence, set within a vaulted space that once housed a carousel. All the dishes are delicious, but favorites include the ravioli stuffed with pecorino and pears and the spaghetti Sorrentino (the best spaghetti and tomato sauce you may ever taste). If you can’t make it to Paris for a romantic getaway, a dinner at Le Coucou feels like the next best thing. Culinary wunderkind Daniel Rose, who earned international praise for his (now closed) Parisian eatery Spring, returned stateside for his American debut with the fabulous Le Coucou. 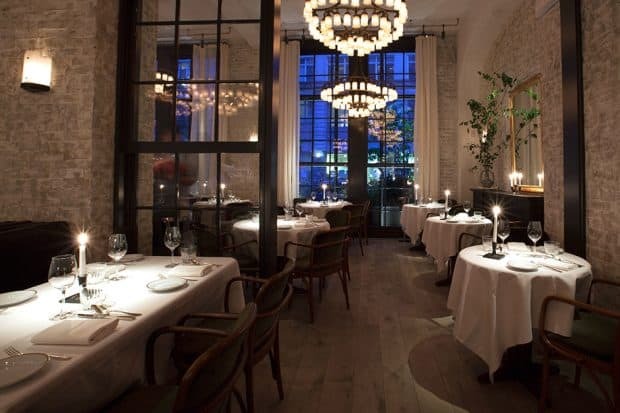 The décor is old-school glam, featuring whitewashed brick walls, extravagant chandeliers and a trompe l’oeil mural, and the cuisine is classic French, with dishes such as white bean salad with pig ear and anchovy and toute le lapin (“the whole rabbit”). 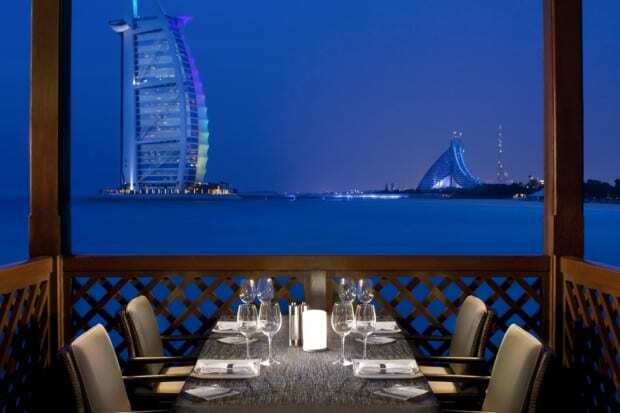 Considered by many to be Dubai‘s most romantic restaurant, Pierchic serves fresh and delicious seafood on a wooden pier with spectacular views of the Arabian Gulf and iconic Burj al Arab. 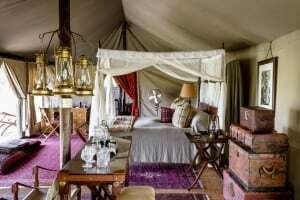 Modeled on the colonial safari tents of the 1920s, Sabora evokes a trip back in time with lavish Persian carpets, antique mahogany furniture, vintage trunks and brass lamps. 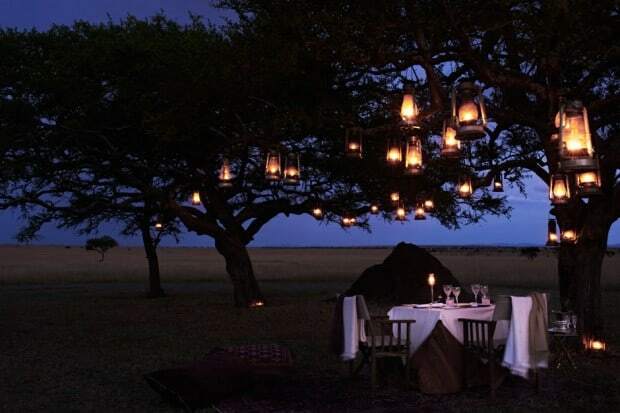 Dinner here is a particularly atmospheric affair, with white tablecloth-swathed tables set under an acacia tree illuminated by lanterns. Savor dishes ranging from a flavorful shrimp curry to smoky barbecued meats, all served in crystal and silver bowls, while the attentive wait staff serves Champagne on ice and oversees your every need. 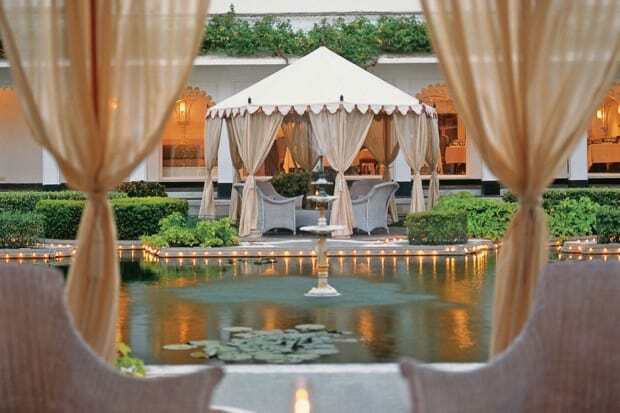 Set on its own island in the middle of Lake Pichola, the historic and sumptuous Taj Lake Palace exceeds even the loftiest expectations. Here, guests can enjoy a private dinner on the restaurant‘s elegant terrace, featuring spectacular water views. Everything is precisely prepared, from wood-smoked morels in a saffron-cashew sauce to laal maas, the spicy lamb curry stew specialty, accompanied by mango chutney and fragrant basmati rice. Rose petal-infused kulfi (Indian ice cream) is the perfect end to a meal here. 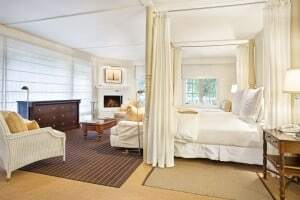 The Michelin-starred restaurant at Meadowood has long been one of Napa Valley’s most renowned restaurants. The food is serious but not pretentious; playful but not undisciplined; rooted in contemporary French cuisine but also quintessentially Californian, with an unshakable love of farm-to-table. 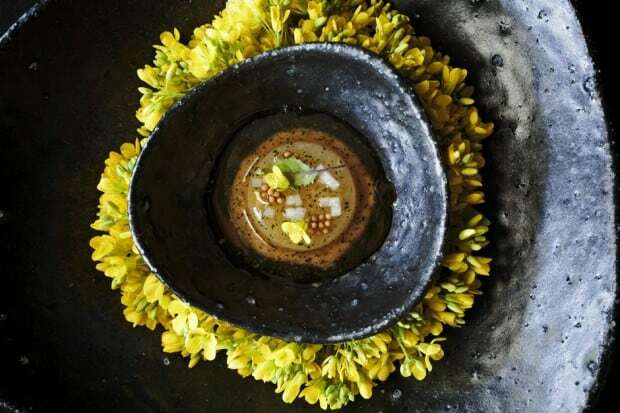 It’s worth splurging on the chef’s innovative tasting menu here, all plates perfectly sized and including a selection of unique dishes such as sunchoke beignets, specialized oysters, rhubarb flowers with caviar, sunflower pasta and eggplant flambé. Request a romantic table at the window or on the patio during the warm months, where diners overlook the natural splendor that surrounds this special Napa resort. 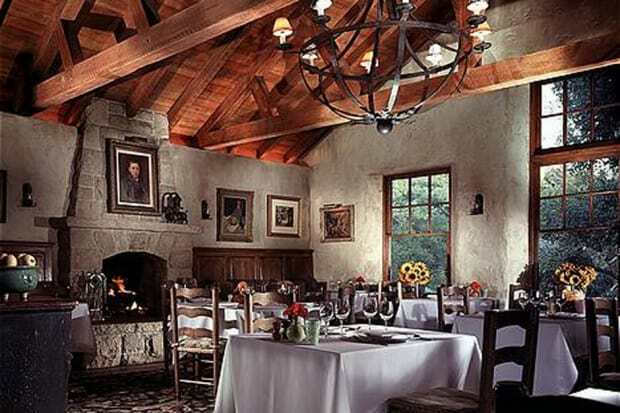 Heavenly is an apt word to describe dining at The Stonehouse, the restaurant at the San Ysidro Ranch. 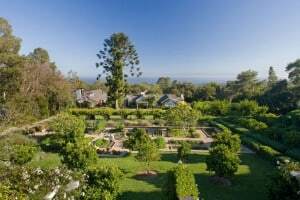 Nestled among a 500-acre retreat, spanning from the Santa Ynez Mountains down to the Pacific Ocean, the formal restaurant serves incredible market-fresh cuisine in a rustic dining room and magical garden, which twinkles with lanterns. Begin with the light honey-glazed beet and asparagus salad or the rich torchon of foie gras, before tucking into entrées such as the classic Steak Diane or the California halibut. Conclude an exquisite meal with indulgent classics like the Bananas Foster, flambéed with a flourish at your table. 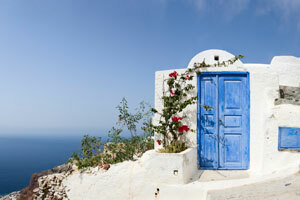 Contact Indagare for assistance planning a romantic getaway.